Approach the heart of the mountain-rimmed Banning Lewis Ranch development on the east side of Colorado Springs, and you’ll likely be impressed by the 60,000 square foot, state-of-the-art school with ranch-style architecture honoring the renowned heritage of this former cattle-ranching community. With the snow-capped Pikes Peak serving as its majestic backdrop, this K-8 public facility presents a stunning visual blend of modern technology, natural beauty and communal legacy. 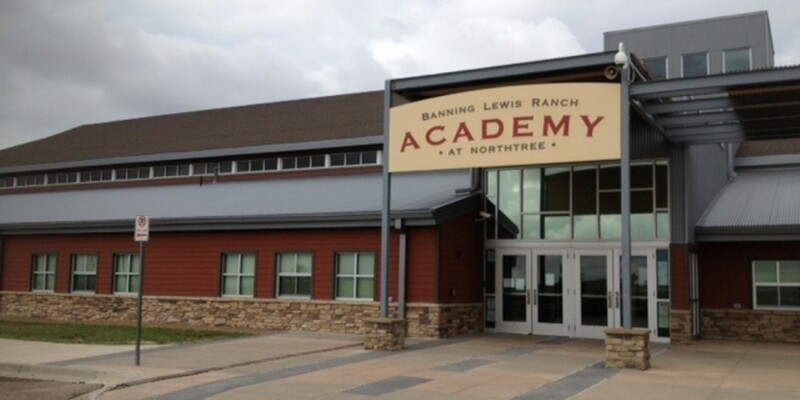 Fortunately, when it comes to educating Colorado’s youth, the scenic Banning Lewis Ranch Academy (BLRA) is more than just another pretty facade. The Colorado Department of Education Data Center recently reported that 78% of BLRA students were “proficient and advanced” in math on the 2014 Transitional Colorado Assessment Program (TCAP) exam, compared to 63% proficient and advanced state-wide, and 64% proficient and advanced district-wide. Similar results were reported in the areas of reading and writing. BLRA was also recently recognized by its education management organization with the 2014 Mosaica Award, given to one school in the Mosaica Education 100+ schools network demonstrating outstanding implementation of its educational model. Such achievements are a testament to the ongoing progress of a school that, two years ago, received the 2012 Governor’s Distinguished Improvement Award. “How proud I am of being part of a team of leaders and schools that are doing such amazing things with kids and student achievement,” said Andy Franko, Head of School at Banning Lewis, upon receipt of the Mosaica award on behalf of his school. The tuition-free, public charter school offers students a world-class, college prep education through a blend of core curriculum and specialized programs, including Mosaica’s proprietary Paragon Curriculum. The school is dedicated to providing a safe, positive environment that fosters intellectual curiosity and a thirst for discovery where students and staff succeed through exceptional programs. At the core of this model are its 8 pillars: Student Achievement, Extended Learning Time, Secure Environment, Professional Development, Community Support, Integrated Technology, Parent Involvement and the Paragon Curriculum. These pillars integrate and combine with an interdisciplinary approach that empowers students to see all subjects as part of their lives, rather than as separate, often daunting disciplines. Given this steady improvement, committed leadership, and its adherence to a proven and successful educational model, it’s easy to see why for Banning Lewis Ranch Academy—even in the shadow of Pikes Peak—climbing any mountain is just a matter of time.